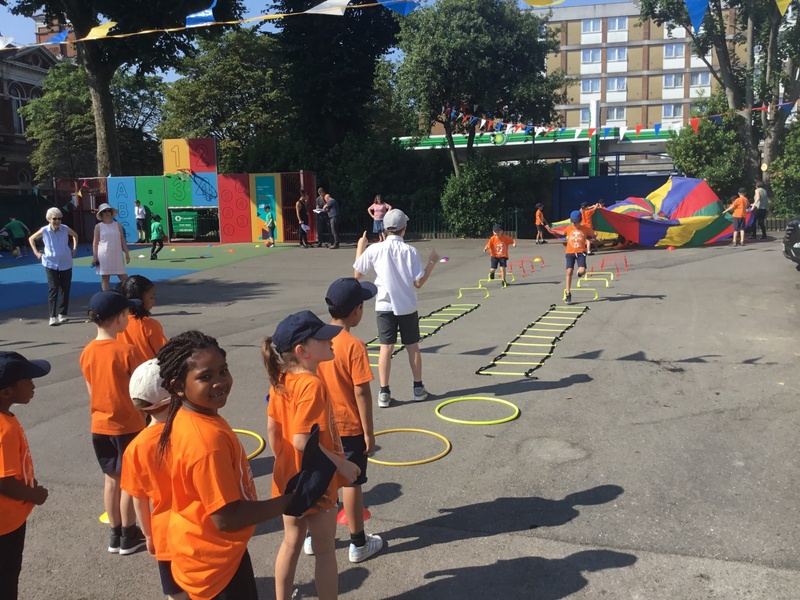 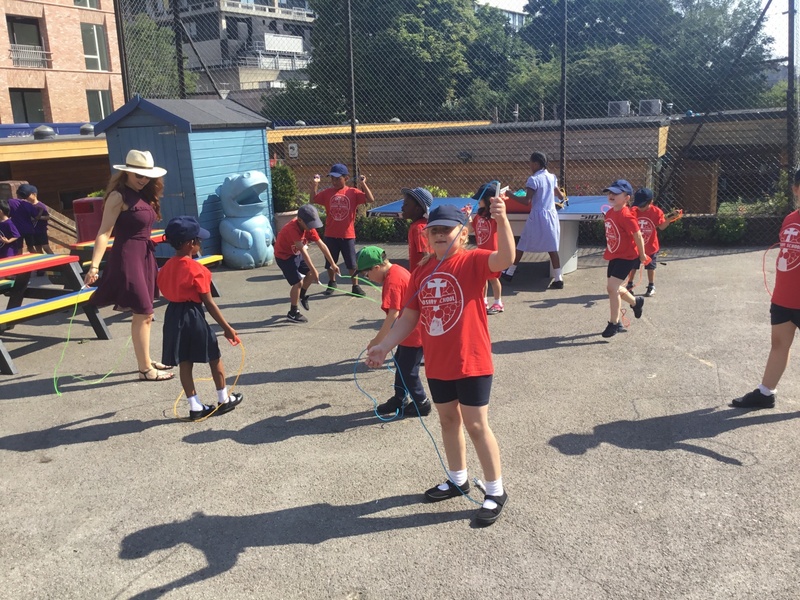 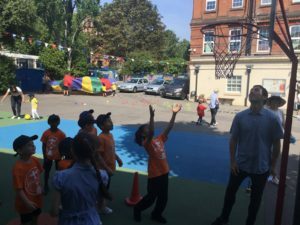 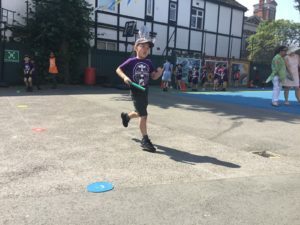 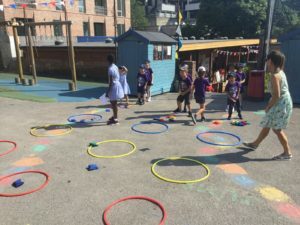 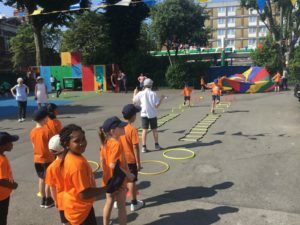 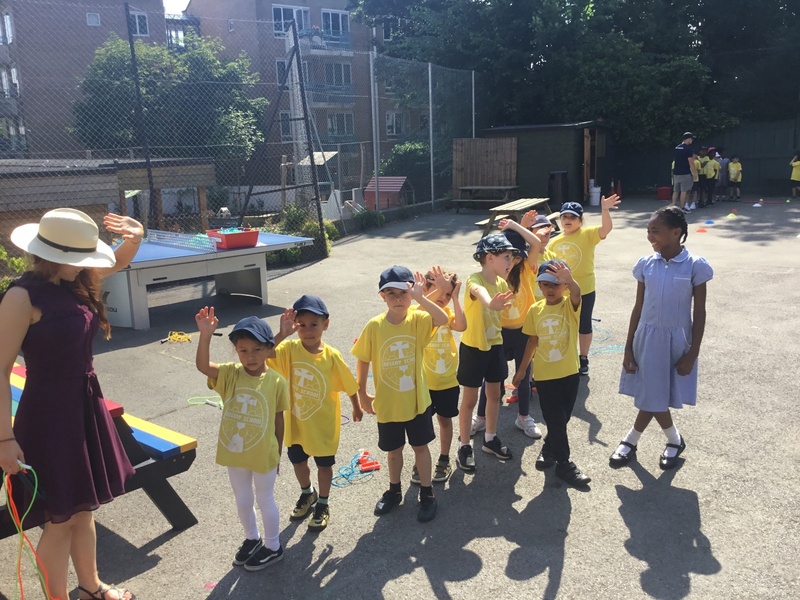 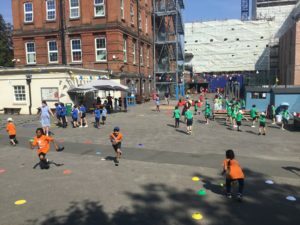 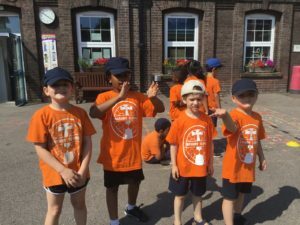 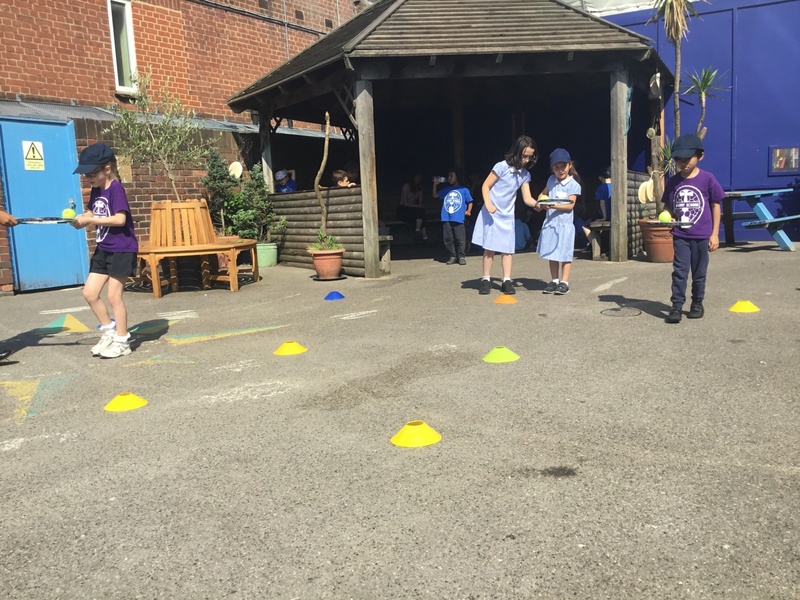 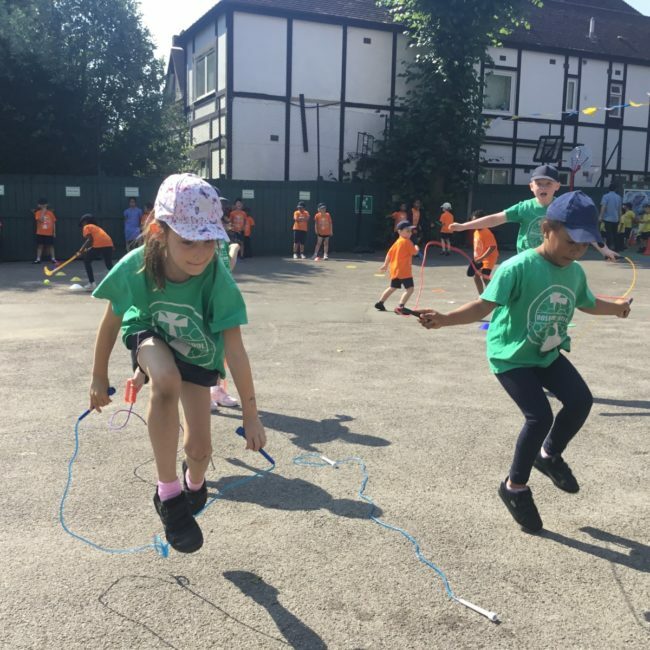 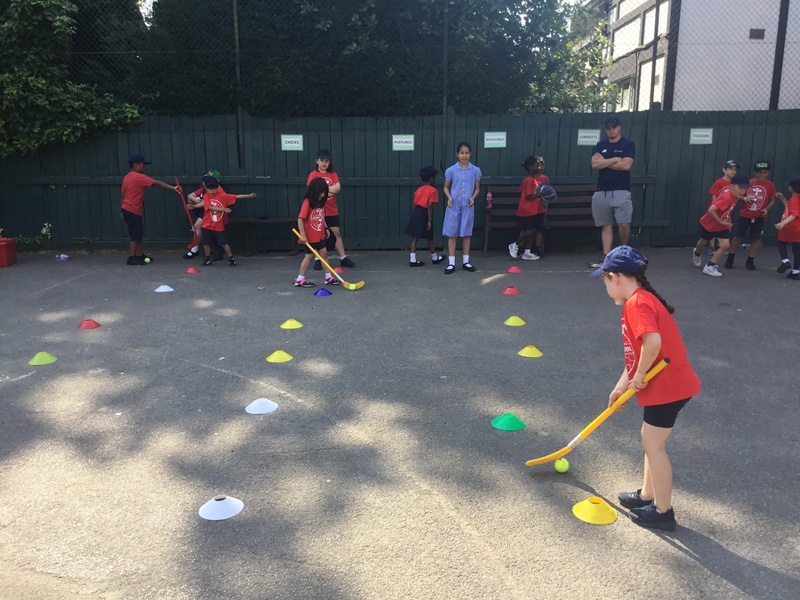 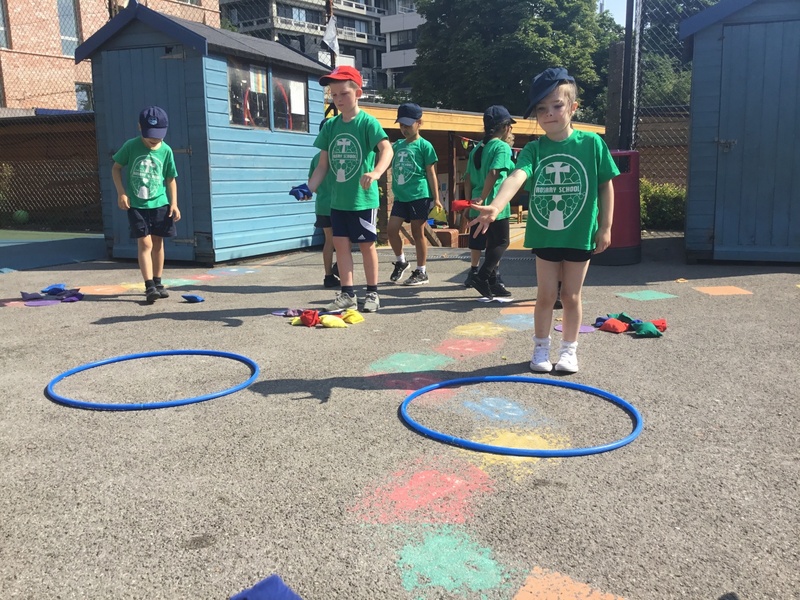 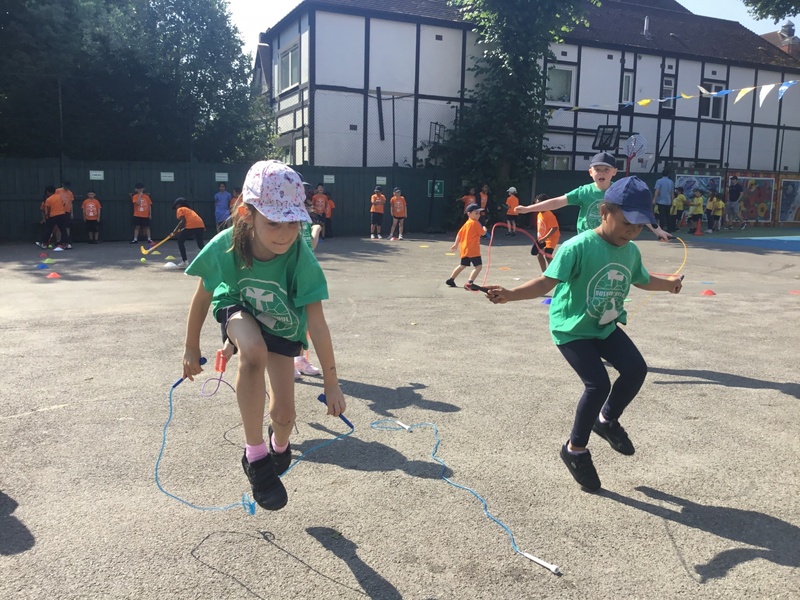 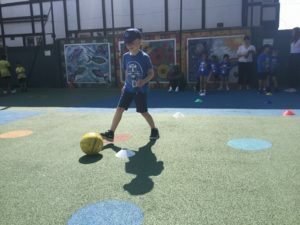 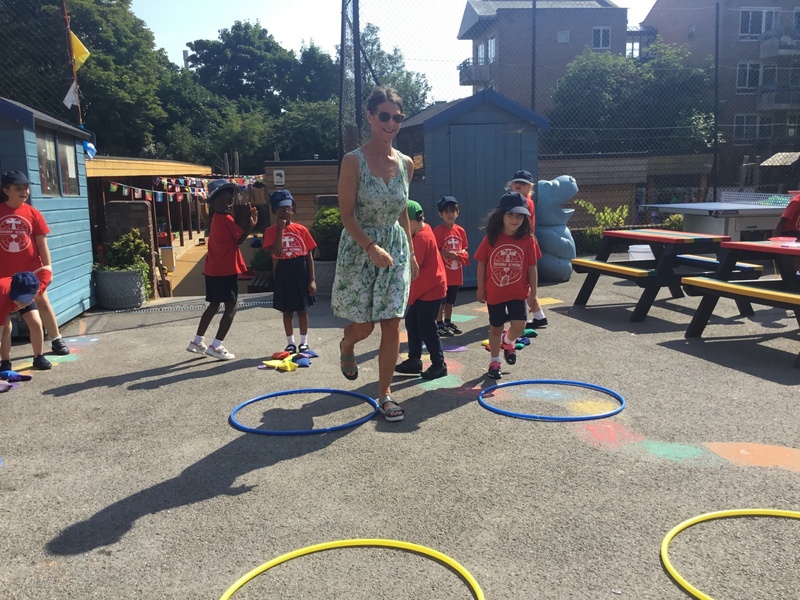 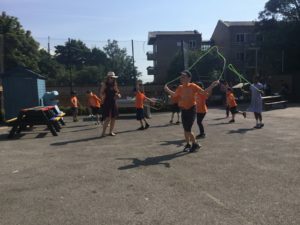 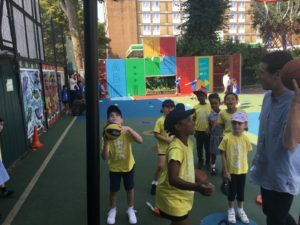 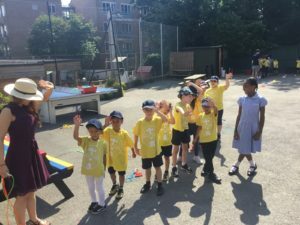 Last Friday was the much anticipated KS1 Sports Day out in the school playground. 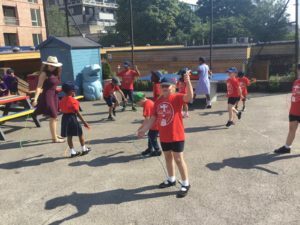 We were once again truly blessed with some amazing sunny weather. The children were split up into their newly appointed house teams, all sporting their new colourful t-shirts. 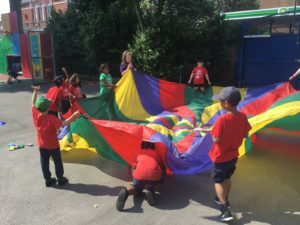 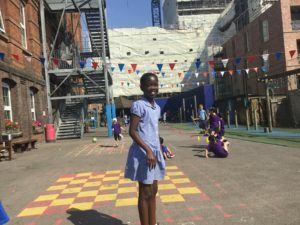 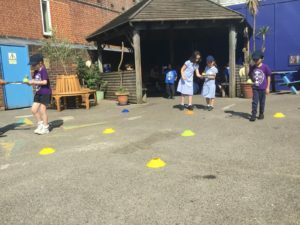 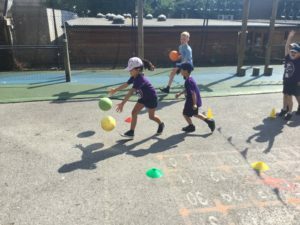 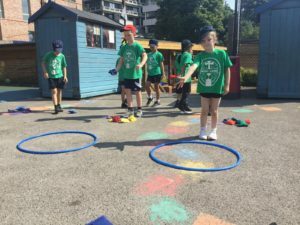 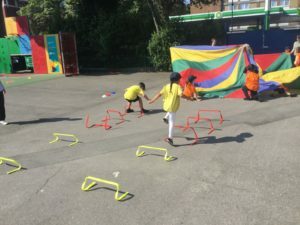 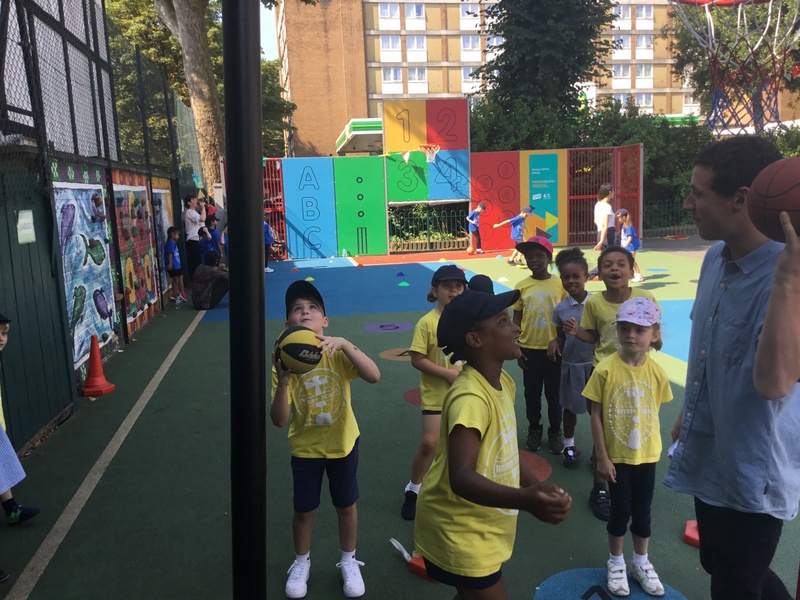 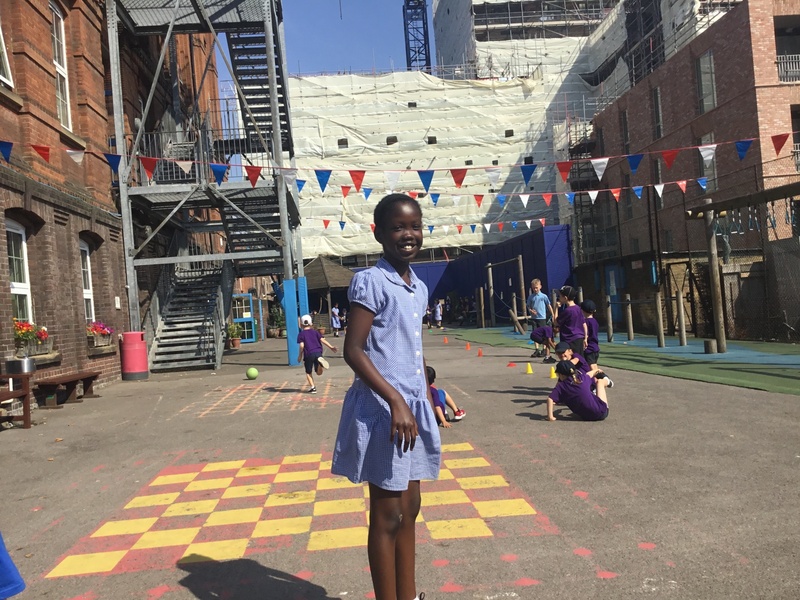 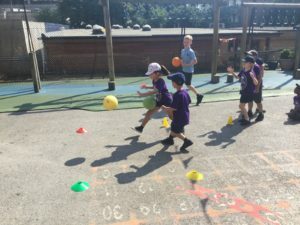 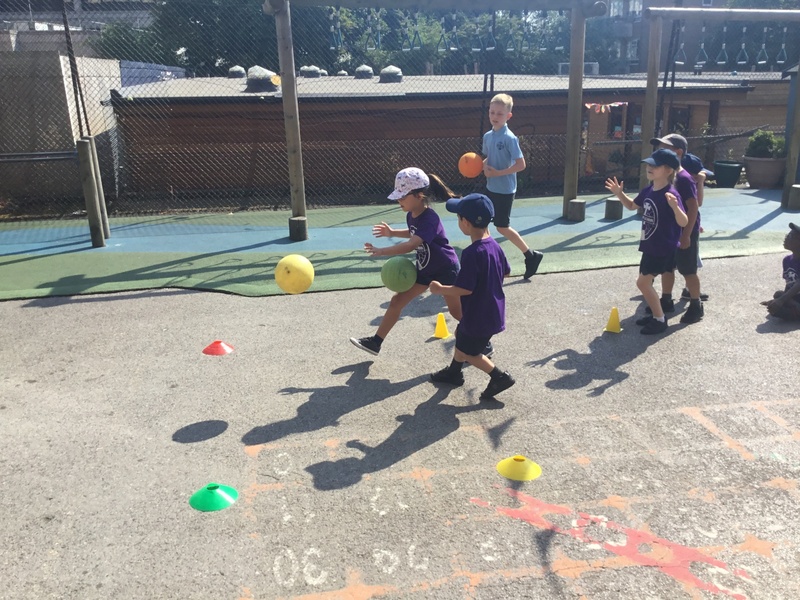 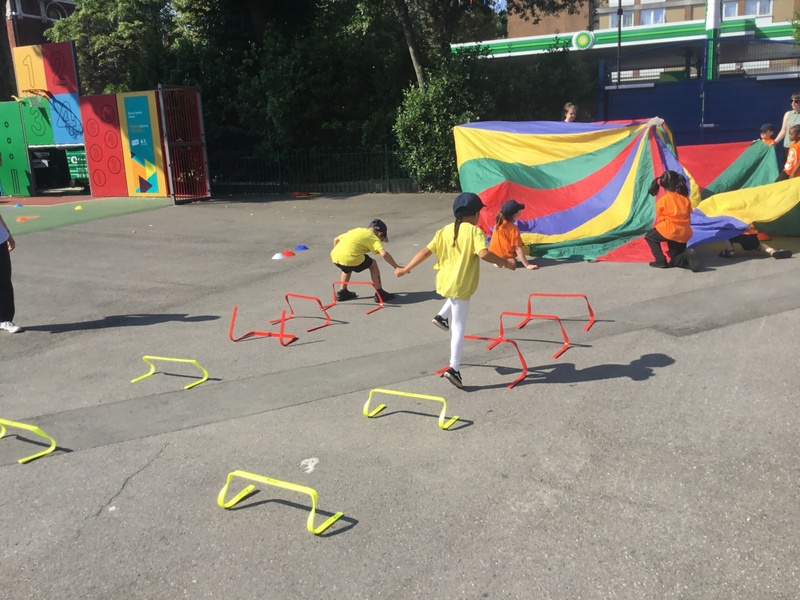 Excitement levels were high as team members completed various activities and games all based around the key skills that they had learnt throughout the year in PE. 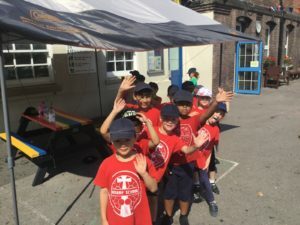 A special thank you goes out to our brilliant Year 5 helpers who assisted the teachers in running each of the stations. 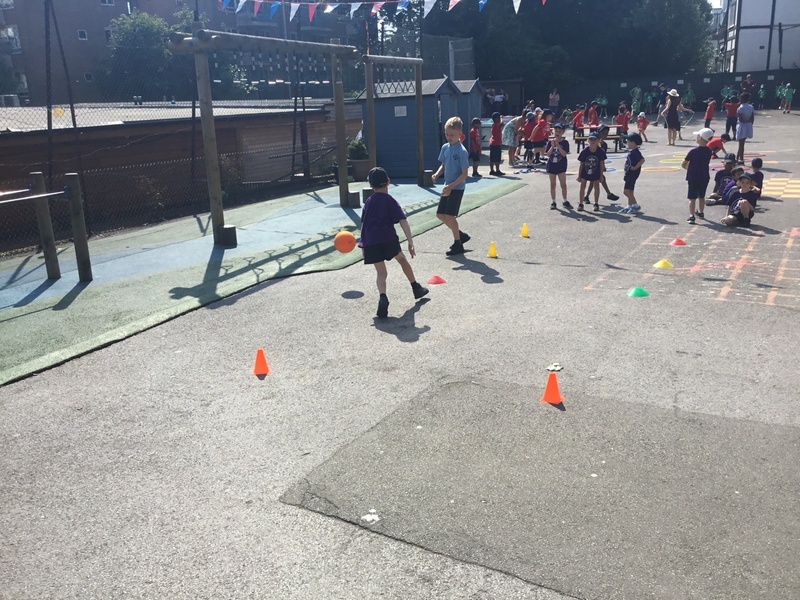 You were fantastic coaches and role models for our younger Rosary sport stars.